Shopping for gifts can be hard. Especially if you don’t know what to get or don’t really have the money at hand. That’s when Cadbury Gifts Direct steps in! They provide affordable, customisable chocolate hampers for people who are looking for that perfect Christmas or birthday present. Whether it’s for a uni friend, partner, family member or coworker, brighten up their day with an assortment of Cadbury’s sweet delights! Personalise your gift box by choosing a pick ‘n’ mix of different chocolate bars or even write your own message and put their face on the wrapper! 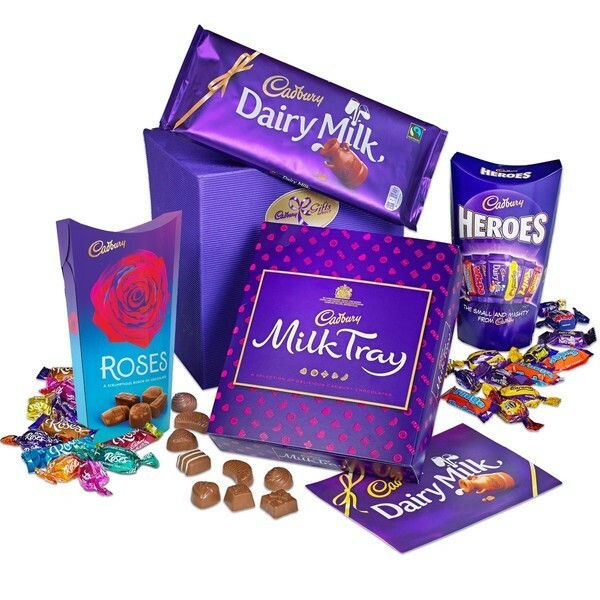 Use the Cadbury Gifts Direct student discount codes shown right here to get a cheaper deal on your gift box. All you need to do is sign up for FREE and you’ll gain access to student vouchers and offers from Cadbury Gifts Direct. Exclusively for students, apprentices and people aged 16-26.